In about a week, LG will finally and officially take the wraps off of their latest flagship offering for the year called the G6. And while we are getting closer to the Mobile World Congress 2017, an endless stream of leaked images is flooding the internet. 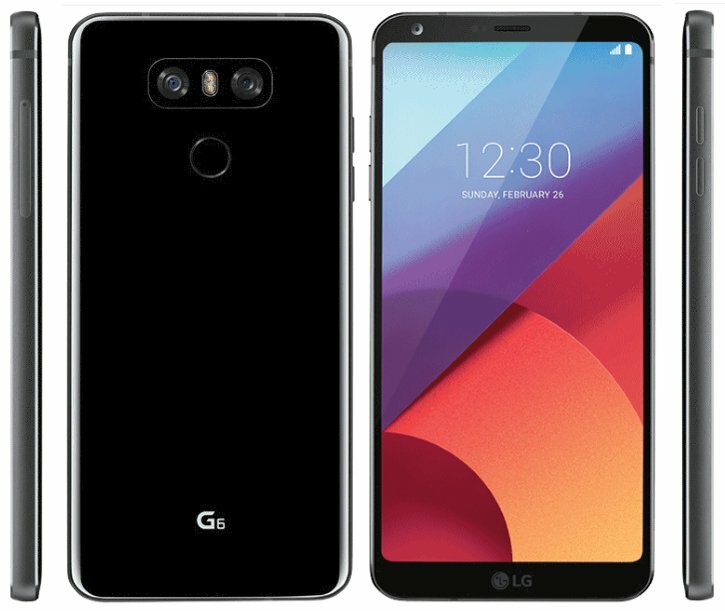 And a huge chunk of those is coming from a well known tipster Evan Blass aka evleaks and this time around he released a what appears to be a press render for the LG G6 smartphone. This latest leaked image of the LG G6 gives us a very good look at the device from almost all angle possible. Front and back panels and both sides of the device were shown here. Based on leaks and rumors so far, this image if found to be true, confirms a few things especially in the design aspect of the phone. First off, the overall design has received a major revamp from last year's G5 iteration. No more modular functionality here anymore. It appears that the G6 will sport a unibody aluminum casing where the battery is not removable anymore unlike on the G5. Plus, the front panel has extremely thin bezels from all sides, leaving only little spaces for the earpiece, camera and some sensors at the top and an LG logo at the bottom. The screen display is said to have 18:9 aspect ration across its 5.7-inch screen with QHD+ display. There's no physical home button on the front side too, instead the fingerprint scanner is situated on the back just below the dual-camera settings and LED flash. Of course all of those information are not official and final yet, so we better take everything with a little grain of salt until LG finally unveils the smartphone on February 26, 2017 during the MWC expo in Barcelona, Spain.